The Selous Mbega Camp expierence, bordering Africas largest protected area the untamed Selous Game Reserve.The Selous Mbega Camp situated in its own forest reserve, built in 2000, is the original camp set up along the mighty Rufiji River near the Mtemere Gate, the Eastern gate to the Selous Game Reserve. 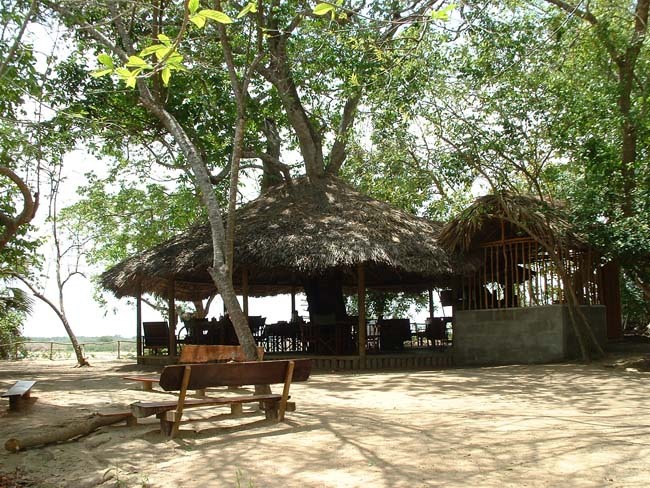 It is our head quarters for operations in the Selous, and offers Boat Safaris on the Rufiji River, Walking Safaris and Game Drives as well as cultural village trips to the Mloka village. 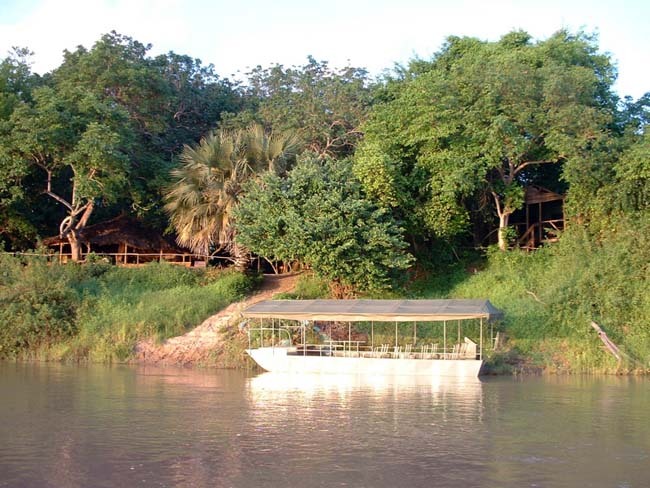 Fishing excursions on the Rufiji River can also be arranged. 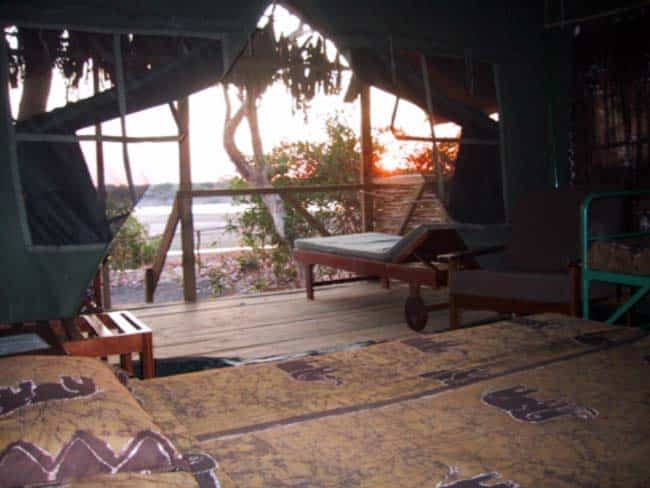 SELOUS MBEGA CAMP (the Original or Main Camp) along the Rufiji River near to the Mtemere Gate, Eastern entrance of the SELOUS GAME RESERVE is set up with twelve safari tents as well as a stone house with two rooms, that are all set up along the mighty Rufiji River. 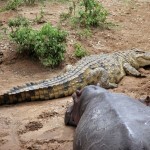 Just 500 metres away from the border of the Selous Game Reserve, in its own private 60 ha riverine forest reserve. 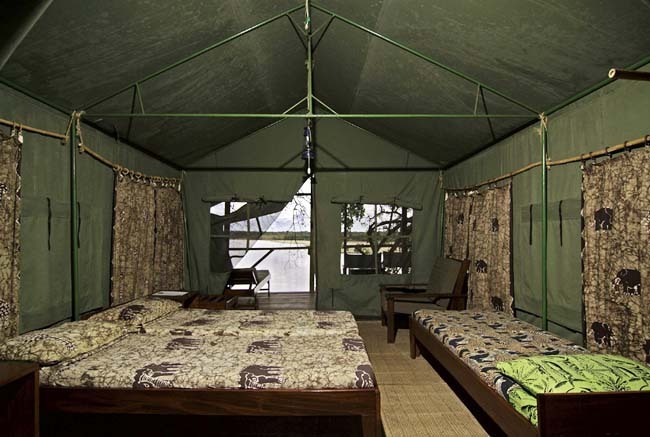 A green ceiling of tree branches and leaves, providing almost always shade throughout the day, covers the camp area. These trees are sometimes visited by a variety of monkeys, including the Angolan Black & White Colobus monkey, known in Kiswaheli as Mbega mweupe, or Mbega, to which the camp owes its name. 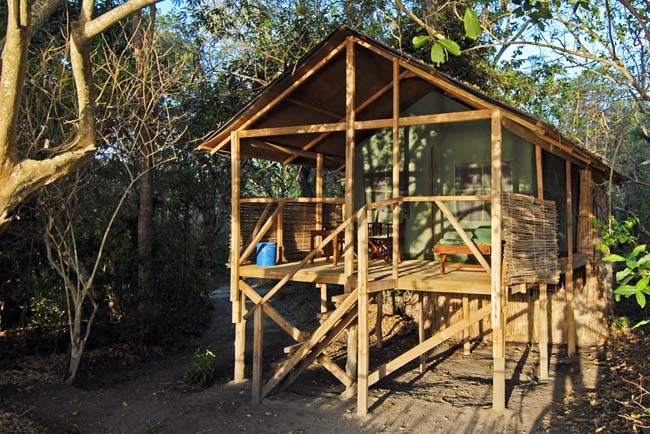 The camp also has a “Dungu” (view tower) looks at set up waterhole at the rear of the camp, with animal or bird activity during day and at night. 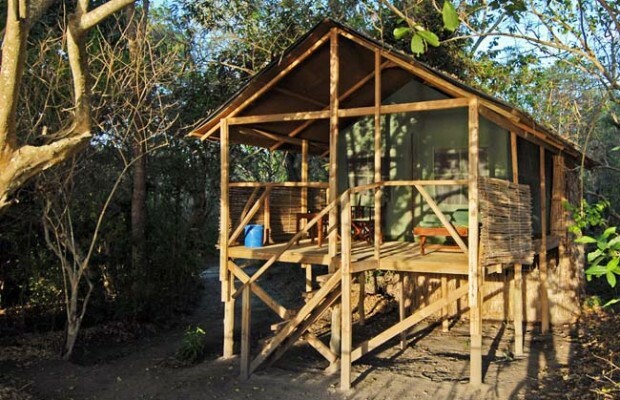 The accomodation at Selous Mbega Camp is in large safari tents, built on wooden platforms, mosquito & insect proof, with en- suite bathrooms, and a verandah. 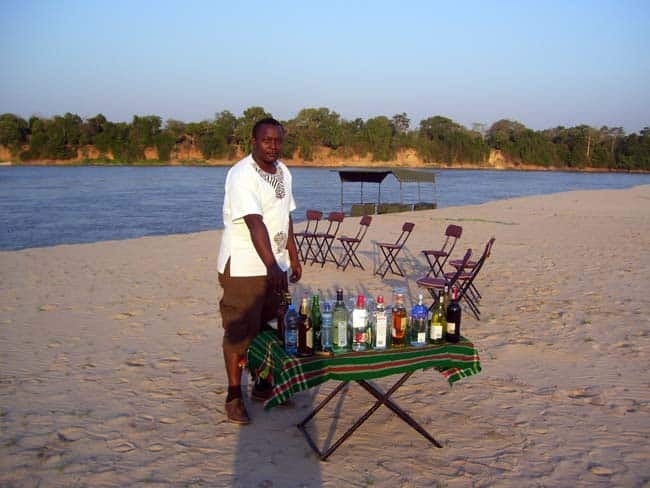 Twelve of our tents have a magnificent view over the Rufiji River.Construction of the camp was commenced on the 31st of January 2000 by its owners & seven tanzanian staff. 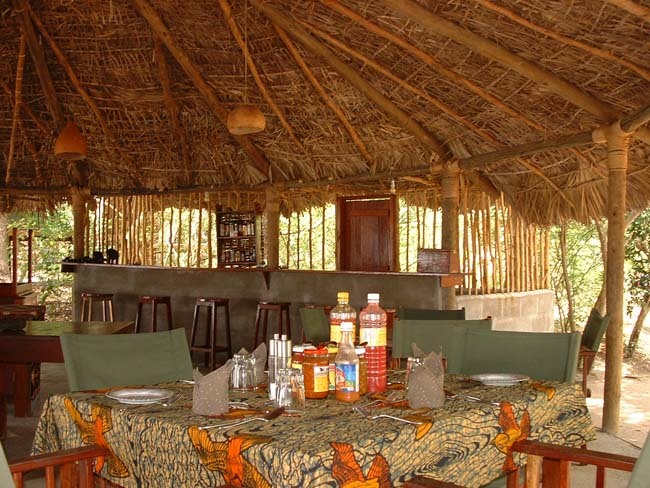 The owners of the camp & their staff have been operating smaller fly- camps within the Selous Game Reserve & Southern Tanzania since 1997. 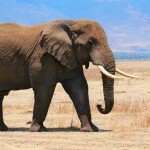 But have been involved within the Selous Game Reserve since 1994. 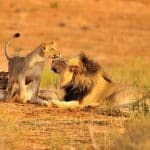 The aim is to provide the exotic African atmosphere, offering mainly small camps at locations that truly function as an exciting adventure tourist destination. 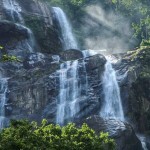 Continuing with the tradition of the old “Hunter Camps” of the past in the new role of “Photographic Hunting”.